Washington state senators approved a bill in a 28-21 vote this week that would require Presidential and Vice Presidential candidates to release five years of their tax returns otherwise they would be kept off the ballot. The bill was then sent to the state’s House of Representatives, reported CBS. 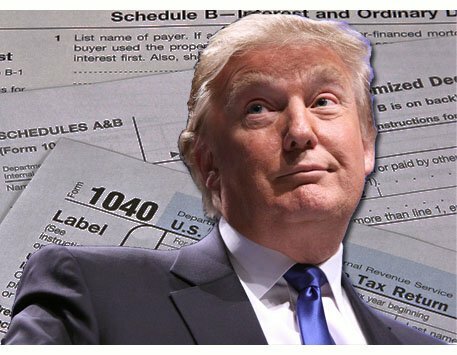 Donald Trump refused to release his tax returns during the 2016 presidential election so the Democrats have been doing everything in their power to obtain his returns. “Although releasing tax returns has been the norm for about the last 40 years in presidential elections, unfortunately we’ve seen that norm broken,” said bill sponsor Sen. Patty Kuderer, a Bellevue Democrat. Washington’s Attorney General and Solicitor argued the bill is Constitutional (it’s not), however, it will definitely be challenged in court. Republican state senators in Washington hit back against the Democrats who voted in favor of the bill. “We’re on really risky ground when we’re trying to place conditions on a federal election,” said Senator Hans Zeiger, a Republican from Puyallup. Although at least 25 other states have proposed similar bills, the US Supreme Court has held that in line with the Constitution, states cannot dictate qualifications of senators and representatives. Democrats however are arguing the law is unclear on this issue because the Constitution does give the states the authority to set rules for how federal elections are conducted within the state. Last month, the Democrat-controlled New Jersey State Senate passed a similar bill and it is sitting in the state’s General Assembly committee for a vote before it goes to Democrat Governor Phil Murphy’s desk for a decision. This move by the New Jersey and Washington Senate is unconstitutional, but when have the Democrats ever cared about the rule of law and the US Constitution?